"I had great customer service the entire time I was there." I would definitely stay there again. My only complaint is the room was a little cooler than I am comfortable with however I asked for an extra blanket and they brought it to my room right away. Great customer service every time I called or had a question. 18-Dec-2018 Verified Review, stayed from Fri Dec 14 to Sun Dec 16 2018 at a $176.64 average nightly rate. I highly recommend this hotel, staff was very friendly and accommodating to all my needs! 18-Dec-2018 Verified Review, stayed from Fri Dec 14 to Sun Dec 16 2018 at a $146.88 average nightly rate. Hilton Columbus Downtown was totally awesome. The hotel was very clean, accommodating and the food was great. This is the second year I have stayed and both experiences were awesome. 17-Dec-2018 Verified Review, stayed from Fri Dec 14 to Sun Dec 16 2018 at a $167.04 average nightly rate. 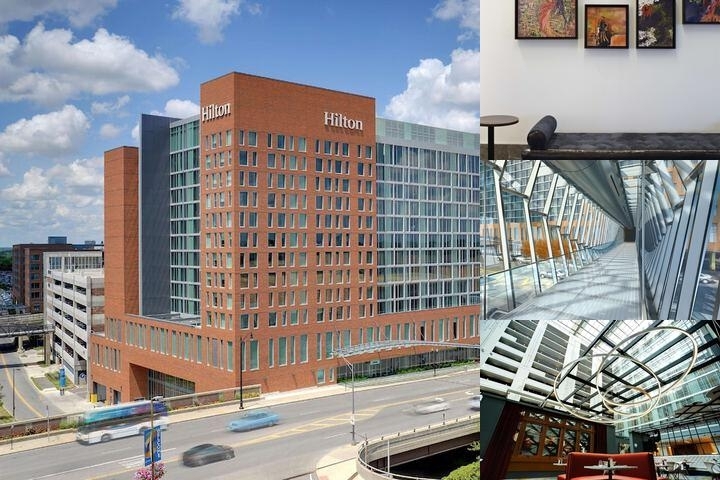 Hilton Columbus Downtown offers a contemporary presence in the eclectic urban hub of Columbus, reflecting the spirit and energy of the area and is within walking distance to over 300 dining and entertainment venues. The hotel features a stunning art collection that comprises over 150 original pieces by Central Ohio artists. The artwork is displayed in function space, guest rooms and public areas of the hotel—it sparks the imagination while enhancing a distinctive cultural experience. LEED Gold Certified for New Construction. Pet friendly hotel! non-refundable fee of $50.00 and maximum weight is 75 lbs. Breakfast available at Gallerie Bar & Bistro on-property daily. Buffet and menu offerings.